Now that we have our house it is so good having chance to put our personality into each room. One room which we are yet to start on is the little room as we are calling it. This room is for guest however I would like it to be a sofa day bed so that the room could also double up as a little dressing room for me. I would love this to have a little dressing table where I can store my makeup and fragrances. It would also be great for this room to include a full length mirror for me as I am starting to get more and more into fashion and making sure my outfit looks perfect. There is also a high possibility that this room will also hold quite a few pairs of shoes as my collection is getting crazy, but that is a whole separate post. On the dressing table or dotted around the room I would also love to add a few books to do with fashion as I get more into it plus I love books. My love for trainers/sneakers really has got out of control I have ended up watching collection videos on YouTube daily. I am definitely a bit of a sneaker-head. I would love to have a book just to look through where it holds different limited editions from different brands. It would also be great to have a few different books as each book is likely to hold different sneakers. Who knows it could inspire the next pair I buy. 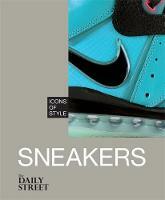 So here are the sneaker/trainer books I would love to get my hands on. 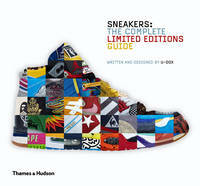 Sneakers : The Complete Limited Editions Guide. As well as sneakers/trainers, something else I love is a good quality and great fitting t-shirt. 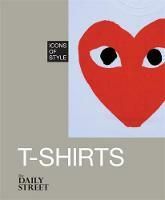 I honestly want to create a wardrobe full of different t-shirts from a variety of brands. I also love discovering new brands so a book all about t-shirts just on a dressing table might give me some inspiration for what to look for. Here is one of the books I would love to add to a dressing table. If you have read my blog for a while you will know I love Snap Back. 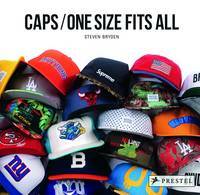 In fact you can read my Snap Back collection post here. These are something I will buy over and over even though it is rare I wear half of them. There are so many great choices of caps that I would love to just have a book where I could pick it up and look at the different designs. Here is a book that would definitely fit this. I really do hope Liam agrees to letting me have the room as a little dressing room and I will be sure to keep you all posted on the progress of the room. Can you recommend any other little bits for me to add?